Thursday, 7 February 2019, English actor Albert Finney (1936–2019), one of the ‘angry young men’ of the Kitchen Sink Theatre and Free Cinema wave, died. The dynamic, often explosive, stage and screen star was one of the working class and provincial actors that revolutionised British theatre and film in the 1950s and 1960s. Although his early fame was later tempered by long absences from major films, he continued to earn awards and acclaim in a varied five-decade career on stage, films, and television. Albert Finney was 82. East-German postcard by VEB Progress Film-Vertrieb, Berlin, no. 1616, 1961. Retail price: 0,20 DM. Photo: Progress. Publicity still for Saturday Night and Sunday Morning (Karel Reisz, 1960). British postcard by NPG - National Portrait Gallery. Photo: Lewis Morley, 1960. Albert Finney was born in the working-class town of Salford, England, to Alice Finney-Hobson and Albert Finney, Sr. in 1936. Although he was born working class, his was a relatively privileged upbringing as his father was a successful bookmaker. He trained at the RADA (Royal Academy of Dramatic Art), where his classmates included Alan Bates and Peter O'Toole. Finney began his stage career with the Birmingham Repertory Company playing Brutus in Julius Caesar. He made his London debut in the company's production of George Bernard Shaw's Caesar and Cleopatra in 1956. Two years later, Finney earned critical acclaim opposite Charles Laughton in a West End production of Jane Arden's The Party, directed by Laughton. He then joined the famed Shakespeare Memorial Theatre at Stratford-on-Avon for their 100th anniversary season, performing Cassio in Othello (directed by Tony Richardson with Paul Robeson in the lead), reteaming with Charles Laughton for A Midsummer Night's Dream as Lysander and understudying Laurence Olivier's Coriolanus. His cinema debut was a small role as Laurence Olivier's son in The Entertainer (Tony Richardson, 1960). His triumphant performance on the London stage as Billy Liar (1960) raised his profile higher. East-German postcard by VEB Progress Film-Vertrieb, Berlin, no. 1615, 1961-1962. Photo: still from Saturday Night and Sunday Morning (Karel Reisz, 1960) with Shirley Anne Field. East-German postcard by VEB Progress Film-Vertrieb, Berlin, no. 1614, 1961. Retail price: 0,20 DM. Photo: Progress. Publicity still from Saturday Night and Sunday Morning (Karel Reisz, 1960) with Shirley Anne Field. Albert Finney's upbringing in Lancashire, a region of mills and smokestacks, exposed him to the kind of social injustice and economic hardship that helped prepare him for his first leading film role. He played a nonconformist, disillusioned factory worker in Saturday Night and Sunday Morning (1960). The film was directed by Karel Reisz and produced by Tony Richardson and based on the novel by Alan Sillitoe. Saturday Night and Sunday Morning (1960) brought Finney worldwide acclaim. Mike Cummings at AllMovie calls the film “a milestone in the development of British realist cinema” and TCM names it “a classic of British ‘angry young man’ cinema”. Finney was originally chosen for the title role in Lawrence of Arabia (David Lean, 1962) after a screen test shot over four days at a cost of £100,000. He later balked at the film's monumental shooting schedule, and did not want to commit to such a long term contract. 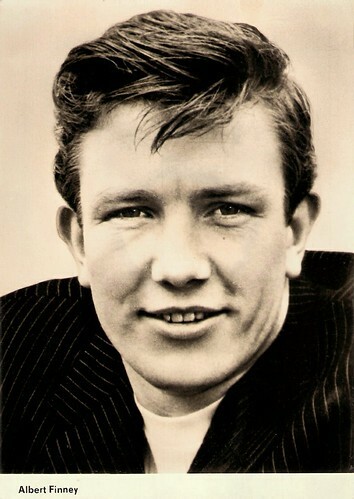 Finney cemented his film stardom with the lead role in the lavish and bawdy Tom Jones (Tony Richardson, 1963), adapted by screenwriter John Osborne from the Henry Fielding novel of the same name. He earned an Oscar nomination for his rakish, startlingly handsome and picaresque hero. 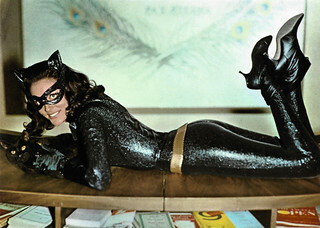 The film was a rollicking, uproarious hit and won four Academy Awards. Rather than attend the Oscar ceremony in 1964, Finney went on vacation sailing in the South Seas. When informed that he had been beaten as Best Actor by Sidney Poitier, he offered Poitier his heartfelt congratulations. He later would be nominated again for the Academy Award for Best Actor for Murder on the Orient Express (Sidney Lumet, 1974), The Dresser (Peter Yates, 1983), and Under the Volcano (John Huston, 1984). He was also nominated for Academy Award for Best Supporting Actor for his performance in Erin Brockovich (Steven Soderbergh, 2000). Despite his nominations, he never appeared in person at an Oscar ceremony. Czech collectors card by Pressfoto, Praha (Prague), no. 1964. Photo: publicity still for Tom Jones (Tony Richardson, 1963). In 1963, Albert Finney took Broadway by storm in John Osborne's Luther, helmed by Tony Richardson. Then he reteamed with Karel Reisz for Night Must Fall (1964), on which Finney made his debut as producer. In 1965, he formed Memorial Films in association with actor Michael Medwin, responsible for several outstanding films including Lindsay Anderson's If... (1968) and O Lucky Man! (1973). 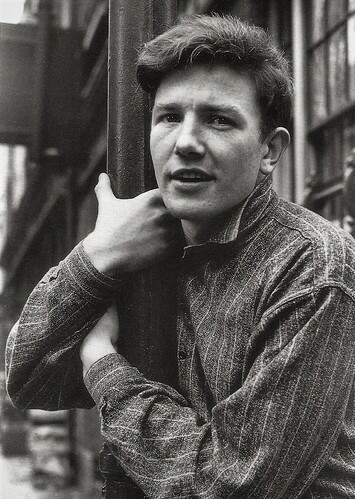 With hints of autobiography, in 1967 he directed and starred in Charlie Bubbles (Albert Finney, 1967), a film from a Shelagh Delaney script about the disenchantments of success. The loss of youth was also at the centre of Two for the Road (Stanley Donen, 1967), in which he starred with Audrey Hepburn. After these productions his film appearances became less frequent. With absolutely no interest in being a ‘personality’ actor and disdainful of his pretty boy image, Finney took pictures for their fun value, hamming his way through the title role of Scrooge (Ronald Neame, 1970), a handsome musicalisation of Charles Dickens' A Christmas Carol, and delivering a tongue-in-cheek portrayal of a Humphrey Bogart wannabe in Gumshoe (Stephen Frears, 1971), another offering from his production company. In 1974, Albert Finney was only the third choice after Alec Guinness and Paul Scofield to play Belgian master detective Hercule Poirot in the star-studded Murder on the Orient Express (Sidney Lumet, 1974), but author Agatha Christie felt Finney's performance came closest to her idea of Poirot. Finney was so well-known for the role that he complained that it typecast him for a number of years. After Murder on the Orient Express, Finney would appear in only one film over the next seven years, playing a small role in The Duellists (Ridley Scott, 1977), starring Keith Carradine and Harvey Keitel. He directed several plays while he was associate artistic director of London's Royal Court Theatre from 1972-1975. As a member of the National Theatre from 1975 on, he concentrated exclusively on stage acting, portraying the title roles of Hamlet, Tamburlaine the Great, Macbeth and Uncle Vanya, among his varied work. Finney was twice nominated for Broadway's Tony Award as Best Actor: in 1964 for playing the title character of Martin Luther in John Osborne's Luther, and in 1968 for Peter Nichols' A Day in the Death of Joe Egg. Both plays were adapted to the screen with other actors. Finney was a member of the Royal Shakespeare Company (RSC) in Stratford-Upon-Avon, where he performed for three seasons in the early 1980s. 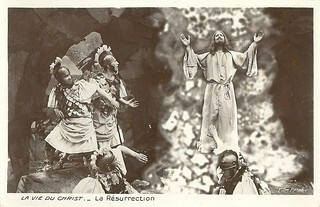 Spanish postcard by Raker, no. 1144. 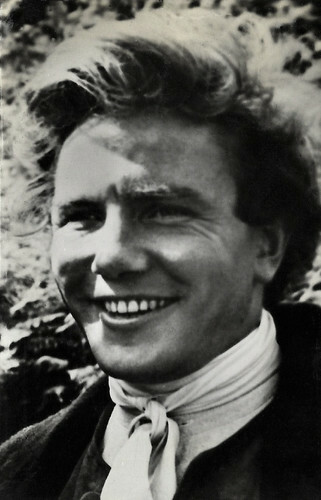 Albert Finney in Alpha Beta by E. A. Whitehead. Royal Court Theatre 1972. Photo: John Haynes. Collection: Performing Arts / Artes Escénicas (Flickr). Albert Finney found new cinema success in Alan Parker's harrowing portrait of divorce, Shoot the Moon (1981), giving a powerful, sexually-charged, rage-filled performance as a writer crased with jealousy that his wife (Diane Keaton) and children seem to be getting along fine without him since his departure. After pocketing a reported $1 million to play Daddy Warbucks in the huge hit Annie (John Huston, 1982), he co-starred with Tom Courtenay in The Dresser (Peter Yates, 1983). Finney played a boozing Shakespearean actor whose life strangely parallels the tragic life of one of the characters he portrays, King Lear. Both actors earned Best Actor Oscar nominations for their work. Finney was perhaps never better as the gruellingly drunk diplomat of Under the Volcano (John Huston, 1984), adapted from Malcolm Lowry's autobiographical novel set in 1930s Mexico. 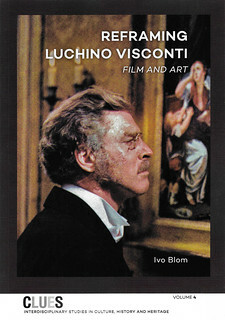 He earned his fourth Best Actor Oscar nomination for an extraordinary performance requiring him onscreen almost the entire film. He reprised his stage role as a deceptive, drunken Chicago gangster in Orphans (Alan J. Pakula, 1987), demonstrating his flair for dialects with an authentic South Side accent. Another highlight was his charismatic Irish gang leader in the Coen brothers’ crime epic Miller's Crossing (1990). Finney made an appearance as the Judge during the trial at The Wall: Live in Berlin (Ken O'Neill, Roger Waters, 1990), a video recording of the 1990 Berlin benefit concert in which Roger Waters leads an all star cast in performing his famous concept album. Next, Finney offered a masterful performance as the public school teacher-scholar at the centre of a remake of The Browning Version (Mike Figgis, 1994). Finney made several television productions for the BBC in the 1990s, including The Green Man (Elijah Moshinsky, 1990), based on a story by Kingsley Amis, the acclaimed drama A Rather English Marriage (Paul Seed, 1998) with Tom Courtenay, and the lead role in Dennis Potter's final two plays, Karaoke (Renny Rye, 1996) and Cold Lazarus (Renny Rye, 1997). In the latter he played a frozen, disembodied head. Trailer of Saturday Night and Sunday Morning (1960). Source: Britfix (YouTube). Trailer of Tom Jones (1963). Source: Movieclips Classic Trailers (YouTube). 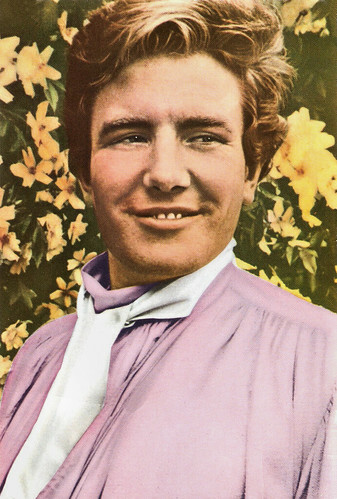 Albert Finney essayed a former racing commissioner in the film adaptation of Sam Shepard's Simpatico (Matthew Warchus, 1999), a role particularly well-suited to this breeder of horses and son of a bookie. He then found himself in the commercial smash Erin Brockovich (Steven Soderbergh, 2000), playing the sceptical, but open-minded California lawyer boss of Julia Roberts’ titular legal assistant whose interest in a cancer cluster case, gradually re-energised him for what becomes the case of his career. That same year, Finney had a cameo in Traffic (Steven Soderbergh, 2000). In 2002, he played Winston Churchill opposite Vanessa Redgrave in the HBO drama The Gathering Storm (Richard Loncraine, 2002), for which he won BAFTA, Golden Globe and Emmy awards as Best Actor. He played the leading role in the series My Uncle Silas (Tom Clegg, Philip Saville, 2001-2003), about a Cornish country gentleman looking after his great-nephew. Albert Finney received a Golden Globe nomination for his role as the senior Ed Bloom, a man whose tendency toward fanciful self-mythologising puts him at odds with his disillusioned son (Billy Crudup) in Big Fish (Tim Burton, 2003). Finney also had a voice-over role as Finnis Everglot in Tim Burton's animated film Corpse Bride (Tim Burton, 2005). His more recent films were the successful action thriller The Bourne Ultimatum (Paul Greengrass, 2007) starring Matt Damon, the thriller Before the Devil Knows You're Dead (Sidney Lumet, 2007), with Philip Seymour Hoffman, and The Bourne Legacy (Tony Gilroy, 2012). His final film was the 23rd instalment of the James Bond series, Skyfall (Sam Mendes, 2012), starring Daniel Craig. 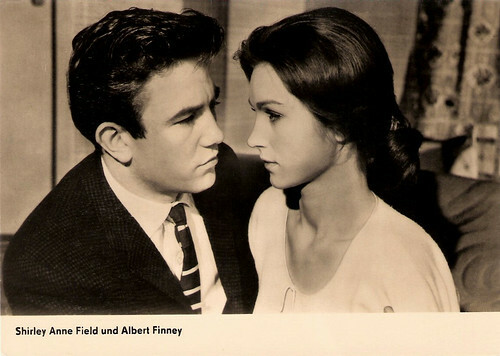 Albert Finney married four times. His spouses are Jane Wenham (1957-1961), French film star Anouk Aimée (1970-1978), Katherine Attson (1989-1991) and Pene Delmage (2006-his death). He had two children: film technician Simon Finney with Jane Wenham, and actor Declan Finney with Katherine Attson. He turned down the offer of a C.B.E. (Commander of the Order of the British Empire) in 1980 and a Knighthood in 2000 for his services to drama. Trailer of Miller's Crossing (1990). Source: Sparmanator 666 (YouTube). Trailer of Big Fish (2003). Source: FilmTrailersChannel (YouTube). Sources: Mike Cummings (AllMovie), Volker Boehm (IMDb), TCM Movie Database, Wikipedia, Britmovie and IMDb. Big Fish is one of my all time favorite movies. I never knew he was so handsome as a young man! Very well written overview of his career! However, have you verified the marriage to Katherine Attson? There is no recording of it in the England & Wales Marriage index 1916 to 2005, while there are records for the marriages to Jane Wenham (birth name Figgis) and Anouk Aimee. Additionally, based on interviews given by Finney in the early nineties he has been with Pene Delmage since about 1990. He has often mentioned his son Simon in interviews. Have never come across him mentioning of Declan. The first mention of the alleged marriage to Katherine and son appear to have been on IMDB, but it would be interesting to know the original source of information. I'm not saying it's not possible, but the only evidence is internet sites that seem to get their information from one another. I am therefore skeptical. This post is - like all my posts - mainly based on the sources I mention below in the post, and indeed one of the sources is the good but not always reliable IMDb. Other websites confirm Declan though, and I guess they are not just copycats. Their bios give different info about Declan and his mother. SuperiorPics.com: "He also had one son in 1990 with Katherine Attson, whom he was married to from 1989 to 1991. His son, Declan Finney, currently studies at Colchester Sixth Form College and lives with his mother." Yahoo.com writes in its Finney biography: "Son: Declan Finney. Born in 1990; mother is Katherine Attson; studied at Colchester Sixth Form College; starred in several small movie productions." Althought this is no definitive proof, I tend to be not that skeptical about the existence of Declan Finney.